One of the most fundamental mistakes made in the iterations of online games, seen time and again, is power creep. What this means that instead of keeping the balance between the various components in the game, they get upgraded. To compensate for one thing becoming overpowered, another thing gets buffed to compete, ending in a vicious circle. It’s an easy way to get people excited about expansions to the game and avoid unpopular nerfs, but ultimately a fool’s errand, creating an increasingly unstable system with growing extremes. The announced changes to propmods have brought this discussion to the fore in the EVE community yet again. Do you think EVE is headed down this path with the increases we have seen in speed, range, damage, fitting and agility, or do you think we’re seeing a healthy development? What would you do different from what CCP are doing right now in this regard? Bob Shaftoes: Power creep in EVE is real. For the past several years attributes have been slowly creeping upward after ship and module balancing. Modules that were previously useless have been fixed and thrown into the melting pot of the sandbox without any regard for the effect they might have on the game. A fantastic example of this is tech II links. Prior to the introduction of tech II links and the rebalancing of the previous link modules, links were still used in gangs for their utility, but were never considered essential. If you fast forward to today’s EVE, links are rarely something you can undock without in order to remain competitive, as power creep and attribute inflation has caused people to factor them into almost every action that happens in space. MukkBarovian: I feel that links were necessary for a serious group long before T2 variants were introduced. That would imply the T2 version was pure power creep. However links are a complicated subject because if I remember correctly, the release that saw T2 links also saw nerfs to the raw power of T1 links. In general we have seen power creep, particularly from the teiricide project. As each ship class got teiricide, it seemed like efforts were made to make them more viable at the expense of other ship classes. When HACs got rebalanced the 50% reduction in MWD signature increase pumped them up like crazy. More recently combat recons got removed from D-scan. It feels a bit goofy because after it all finished the balance was pretty close to what it was before. As a theorycrafter I watch CCP balance closely. Putting my expectations into words can be hard but I will try to give a short summary. CCP occasionally nerf things into the ground so hard that they become nearly useless. See heavy missiles, the Drake, and the Hurricane. When CCP buff something, there is a good chance that thing will be one of the most powerful tools in the game until the next balance pass. See medium railguns. Sometimes I disagree with CCPs methods as in the railgun nerf that hit the Eagle, Tengu, Vulture and the Diemost with the same damage decrease. The Rail Diemost was not breaking the game in my opinion. Do not get me wrong. 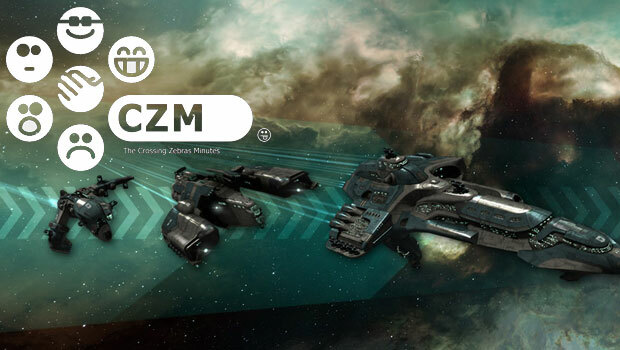 I like the fact that CCP regularly shake up the meta. When that happens the game is interesting. 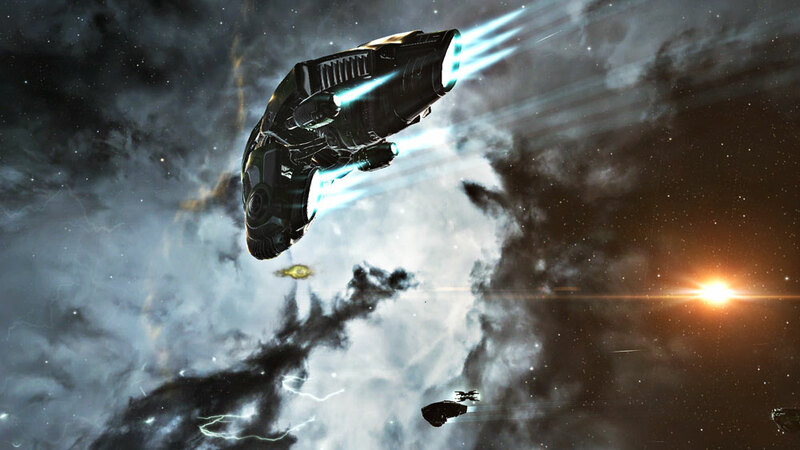 Neville Smit: I don’t see a huge “power creep” problem happening in EVE Online, so far. Rather, I see CCP Games’ efforts to rebalance ships and various module categories as giving pilots a wider range of viable choices. For example, it was not so long ago that certain types of ships were clearly better than others – at one time, no one would seriously fly an Atron frigate and hope to have any substantive effect on an engagement. Now, the Atron is a respectable tackler, especially for new pilots with low skill points, and one of many choices that are similarly suitable to that role. Likewise, the balancing of modules have been good, in my opinion, in that pilots now have more choices in what kinds of capabilities they want to focus upon, rather than just picking the “best” module. Does CCP over-nerf or over-buff ships or modules from time to time? Absolutely – but I applaud them for periodically tweaking and adjusting ship and module stats, based on observed player behavior, and with an emphasis on providing players with a broader array of possible, but equally interesting options. Link modules are an example of this kind of dynamic, if you ask me. Yes, they are exceptionally powerful today, but it’s only a question of time before CCP makes adjustments to bring them back to a level that emphasizes different choices, rather than just one obvious one. The coming changes to sov warfare, for example, will affect the relative value of links – they will no longer be an absolute requirement for success in huge fleet-on-fleet bashfests, as we should see fewer of those and more smaller-scale engagements spread over several systems in a constellation. Will links be useful in that system? Certainly, but they won’t be a practical necessity for success. I’m optimistic about CCP Games ability to keep “power creep” under control. They’ve done a pretty good job at doing so already, and have demonstrated that they aren’t afraid to intercede and make adjustments, in order to prevent it from happening over the long term. Niden: I have to pipe in here and agree with Neville, I don’t see power creep as a problem that EVE has today. My esteemed colleagues Gorski Car and Bob Shaftoes vehemently disagree with this and I daresay that they are theorycrafters and PvP:ers of a caliber I will never reach, but after a few thousand kills I feel I can at least speak on the matter from my perhaps narrow-minded, lowsec-oriented perspective. One of the most common signs of power creep in other games is extreme imbalance in the meta. While EVE’s meta has always had its winners and losers, like the Drake that went from king to fool or the Ishtar that is only recently, slowly, falling from grace, I feel that tiericide brought the meta together, not further apart. That’s not to say that everything is fine, but I don’t really see power creep as part of the problem. I don’t see CCP as having the character flaw of avoiding player ire of nerfs by buffing rather than balancing, something I’ve seen destroy other games. The issue of speed may be different, and I’m talking about the recent announcement of changes to propmods especially. However, it would be easy to say that everything is going faster and that it’s a problem, but to be perfectly honest, I don’t know if I think it is (inb4 Gorski calls me an idiot for saying this). I guess it could be argued that in the medium gang meta, fast ships with long range engagement profiles have been dominant for a long time and that this perhaps exacerbates the problem. But on the other hand, the ships chasing them down also get faster. I simply don’t know how this will play out in the end, but I’m smart enough to not pass judgement before being certain, something I think far too many EVE players do in haste. Whatever the case, I am thrilled that risking a lot of ISK on a shiny MWD will actually get you something for your money besides some more cap life and a slightly better sig – finally! Dunk Dinkle: Of course power creep is an issue. Eve is a game of balance. For every rock there needs to be a paper. For every paper, there needs to be a scissors. Currently CCP views the ISK cost of ships as a real balancing factor. The truth is, it is not. The cost of the Orthrus (~ISK 300 mill) and the Gila (~ISK 275 mill) in no way balance out the factor that they are pretty over powered. The kitey meta is already a difficult to counter scenario with the current prop mod attributes. Giving pilots the choice of even more speed, with the only drawback of costing more ISK, is simply going to lead to more OP fittings to an already OP meta. The idea that l337 PvPers are going to worry about the costs of faction prop mods is hilarious. I’m not opposed to adding new, cool stuff to the game, but the counters to ‘power creep’ can’t come from ISK, then need to come for additional ability to counter whatever is being boosted. Look at the current situation with stealth bombers. Huge buff to their effectiveness, no addition in the ability to combat them. [insert commenter anti-bomber theorycraft rationale here] Tarek: I have written on that subject before and back then I diagnosed that the problem was the opposite to power creep. I still stand by that. It started well with frigates when Rise, Fozzie and Ytterbium made practically every ship in that class viable in its own way. That went on equally promising with cruisers and we saw some interesting changes there. Power creep could have been an issue if things had progressed that way, but in my view the opposite happened. When they next tackled battlecruisers the main objective seemed to be to destroy the dominance of the Drake and Hurricane, however by then the ship balancing team did not opt for the previous course of “make the most powerful a bit weaker and bring everything else up to that level”. Rather than that, the Drake became a sitting duck (yes, pun intended) and the Hurricane dropped from a typically versatile Minmatar ship to something basically limited to very few viable fits. They then made most other battlecruisers equally limited and specialised with the possible exception of the Ferox which became a very decent hybrid platform. The warp speed changes sounded the death-knell for the whole ship class however. Battleships saw an equally downscaling balance pass which was equally exacerbated by the warp speed change. It seemed to me like they hit the brakes after realising that a logical progression of their frigate and cruiser program would indeed result in power creep, but they hit the brakes too hard. Now they find themselves between a rock and a hard place. In nullsec the meta has progressed to smaller and lower signature ships because those people out there are incapable of flying their blobs in formations that can not be wiped off the field by bombers. Everywhere else players have to witness how previously viable small-gang ships get nerfed because the N+1 meta can’t sustain them. Well, maybe there should be a downside to deploying masses of F1 pushers with tactics as advanced as your average barbarian horde. I say forget about power creep and apply some realism in weapon development. Sure, it’s a game and there should be some balance, but it is also a make-believe sci-fi universe. Of course things become more powerful in one way or the other as engineering advances. Of course tactics develop which make some ships obsolete in a particular role. Just look at how tanks or airplanes developed during WW2. It wasn’t like the Germans could whine about Spitfires beating them. They had to develop a better plane and they did. Everyone tried to outdo each other with new concepts and doctrines. What angers me most is the unrealism of the development in EVE which in my view began after cruisers. So Ishtars are too good with their sentry drones, allright, come up with a weapon system that counters them instead of making them worse. So bombers destroy battleships easily, well build in some defense against them (hello defender missiles or FoF missiles). Will the solution be optimal? Probably not, but I really don’t believe in ham-fisted nerfs. They break my suspension of disbelief and I like to have that in any fictional setting. Powe rcreep is mostly a problem when it means that you have to get to a certain ship/weapon/module or else you have no chance on the field. The links Mukk mentioned are a real example of that problem. If everything increases to the same level of usability however, and the rock-paper-scissors principle is maintained, then there is no problem with it. Just looks at cruisers and frigates, everyone is happy with those.